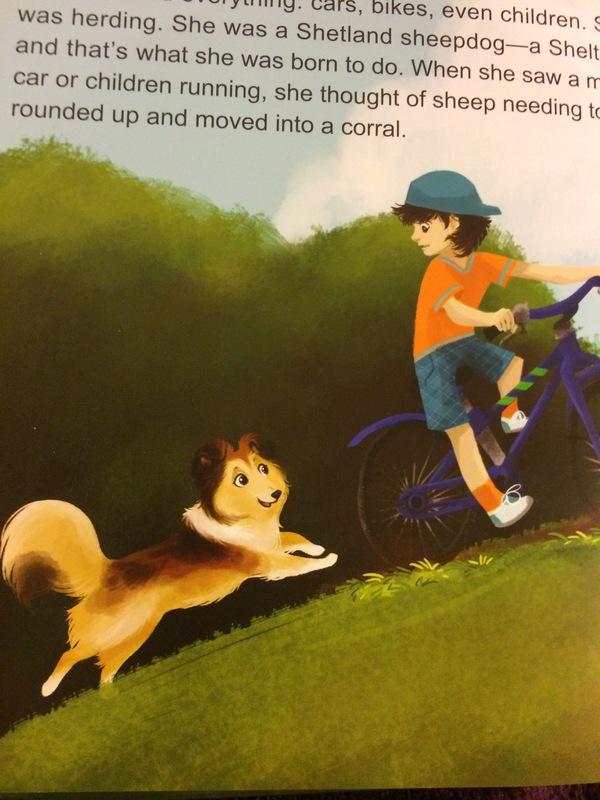 Sashi, the Scared Little Sheltie is the true story about a little dog who loses her home for only doing what comes naturally to a pup bred to be a herder—she chases everything that moves. She doesn’t understand why she is left at an animal shelter and, because she cowers in a corner of her cage, potential adopters pass her by. Sashi is helped by Sheltie Rescue and is adopted into a home where she blossoms into the dog she was meant to be. 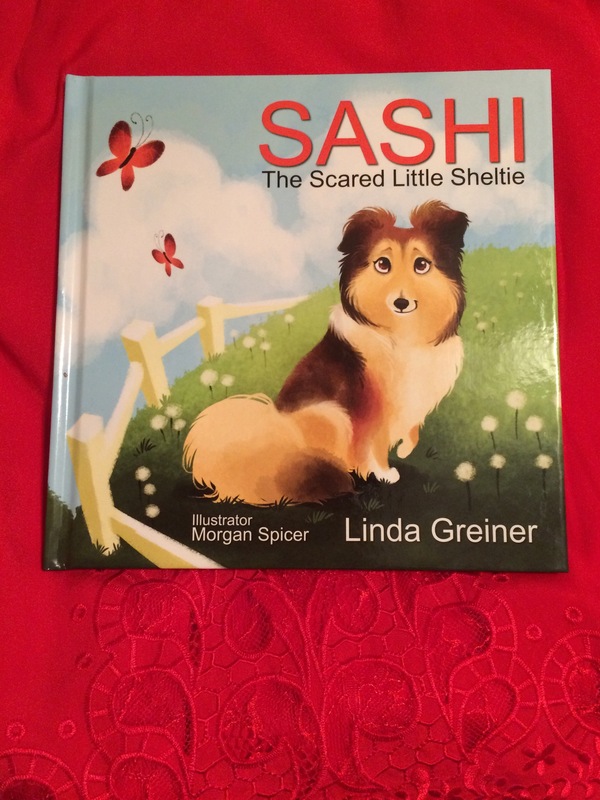 About: Sashi, the Scared Little Sheltie is a children’s picture book written by Linda Greiner and illustrated by Morgan Spicer. It was published on 1/2/2015 by Brown Books Kids, hardcover, 32 pages. This book is for ages 3 to 10, grades P to 4. There are 3 books to this series: book 1 is called Sashi the Scared Little Sheltie, book 2 is called Sashi Adopts a Brother, and book 3 is called Sashi and the Puppy Mill Girl. Please read more about the author below. (Click on the links to see the publisher’s website and my reviews of book 2 & 3). My Experience: I read Sashi, the Scared Little Sheltie for my 5 year-old son as a bedtime story on 1/24/17 and finished it that same night. We both really loved this book! We don’t have any pets at home and it’s the first time for my son to learn about having a pet and the need to train them. 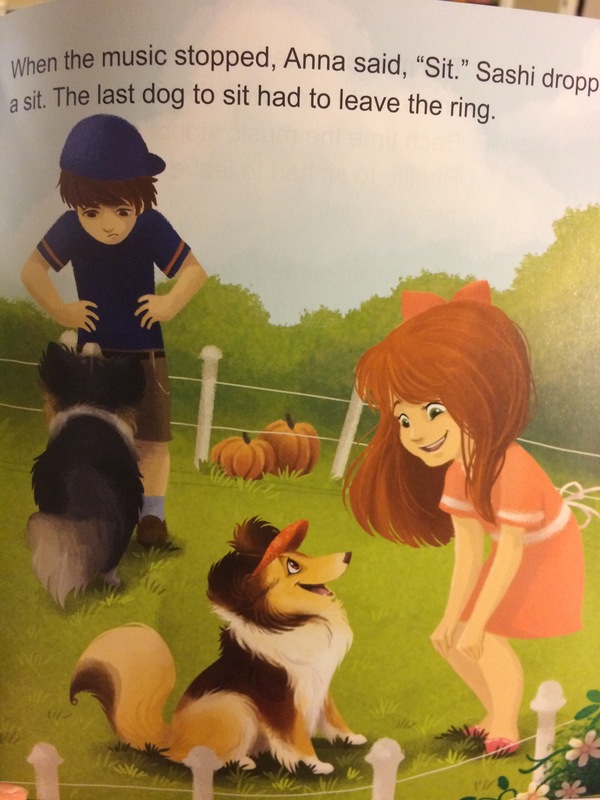 This book is about a Shetland Sheepdog, also known as Sheltie named Sashi, who was living with a family but they didn’t know they were supposed to teach her what’s right and wrong. Sashi barks at everyone and chases at everything that caught her attention. She is deemed a bad dog by the first owner and is then sent to the rescue center/shelter. This bad experience caused Sashi to back herself away. Sashi is then adopted into a new family who gave her lots of love, care, and taught her to sit, come, and check it out that soon Sashi becomes a champion. What a cute book! I love that you are reviewing children’s books now– particularly because you’ve been reading them with your son. 🙂 These illustrations are great. I hope to see more of these in your future! Wonderful review. I personally love this! Keep it up; this is not only fun, but really interesting to me. Do you read for kids sometimes? be it niece or nephew or friends’ kids? This picture book looks so lovely, and it sounds like a perfect choice to read it to children before getting them a pet, especially dog.